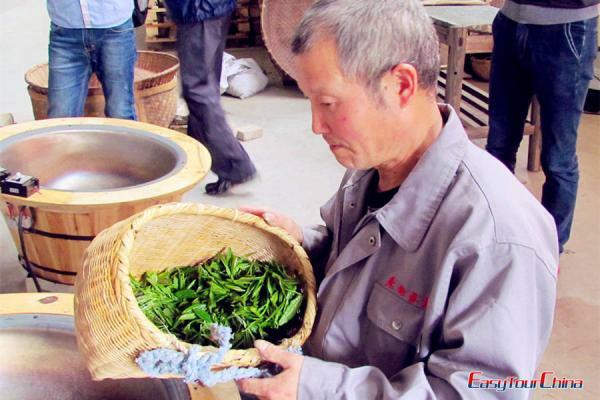 There is no better way to know the essence of Puer tea than to interact with local tea farmers. 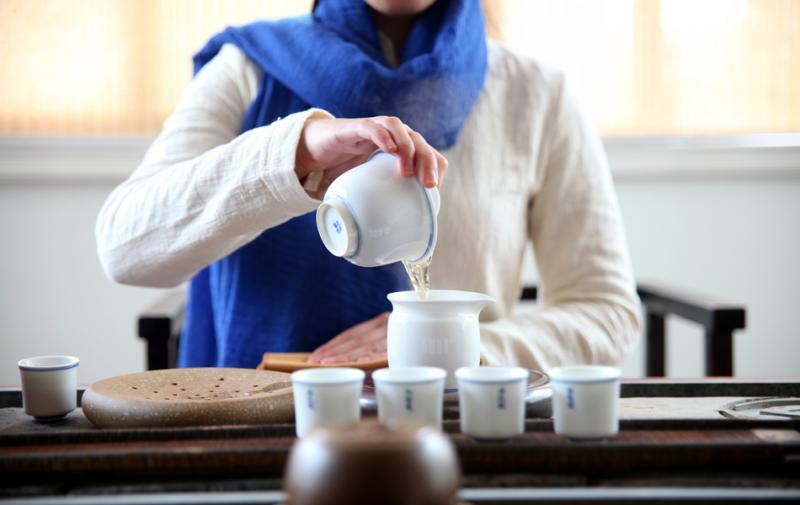 For pilgrims, this Puer tea tour escorts you to explore the hometown of Puer in Yunnan as well as the starting point of the Ancient Tea-Horse Road. During in Xishuangbanna, you will not only acquire a deep understanding of Puer tea, but also experience exotic culture of ethnic groups of Dai people and Aini people. Fly from Kunming to Jinghong. The English-speaking guide pick you up at the airport in Jinghong, transfer to your hotel at Menglun Tropical Botanical Garden. After a noodle breakfast, drive along a winding road through rubber plantation to Yiwu. 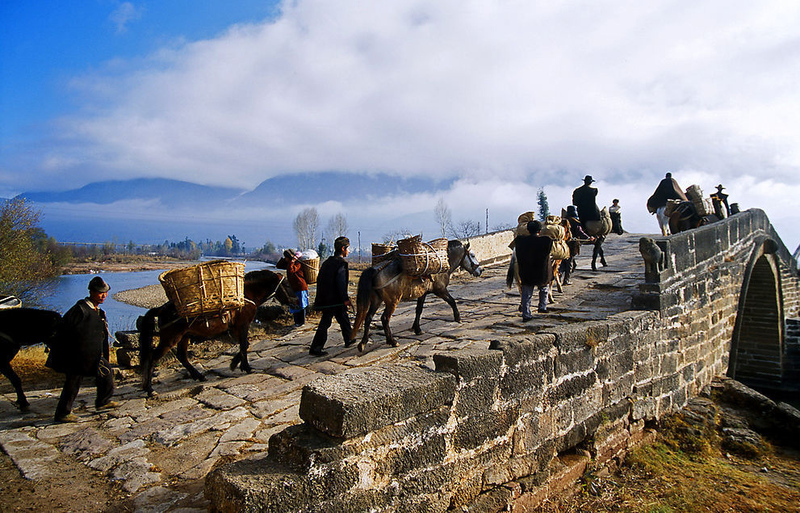 Walk along the Tea Horse Trail which begins in Yiwu village and goes all the way to Tibet, and see a small tea museum. 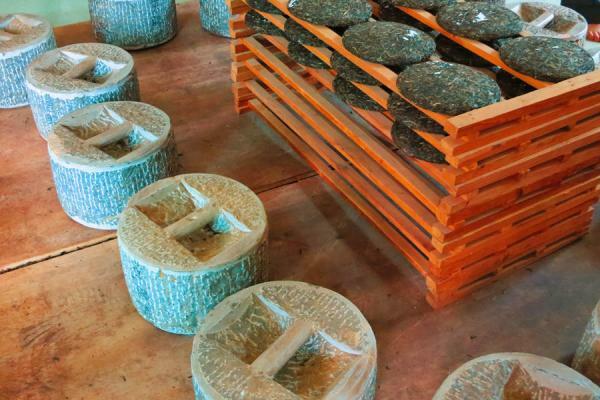 Visit local tea workshop where you drink tea and see the stone blocks used to press tea cakes, if like, try pressing tea cake with stone like the local. Drive up mountains to see local aged tea trees and visit tea farmers. Return Jinghong via Youle, visit Jinuo ethnic people and see the aged tea trees around village. Overnight in Jinghong. Drive to Menghai, first see a lively daily market, where people sell or buy various native produce. Move to Menghun, visit village of Dai, where people are still making paper in a traditional way with tree bark, and their products are mostly used for packing tea product, Drive back to Jinghong, on the way visit Mount Nannuo area, one of the most famous tea producing areas in Menghai, short walk across villages of Aini people and their aged tea tree plantation hidden in forest, en route we see the 800 year old tea tree. Return Jinghong. The guide will drop you off at the airport for your flight to your next destination.